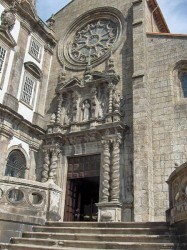 The Igreja de Sao Francisco is the most important gothic cathedral in the city of Porto, Portugal. There has been an ecclesiastical building on the site since 1244, when the Franciscan Order built a convent and small church dedicated to Saint Francis of Assisi. This was later extended to a larger church under the patronage of King Ferdinand I, in 1383, and was a fine example of the gothic style of the time. With the main structure of the church remaining largely unaltered, it is now recognised as Porto’s best example of gothic architecture. In a city that is steeped in History and seemingly bursting at the seams with fine architectural examples, these are credentials to be proud of, indeed. 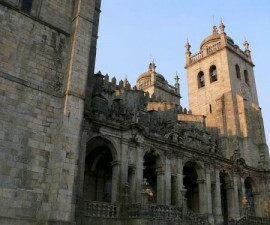 Today, only the church remains, with the convent long gone, but what is left has been designated as a national monument since 1910 and now forms part of the important UNESCO World Heritage Site area of Porto. In fact, it is not simply the Igreja de Sao Francisco’s gothic form that commands such interest, but the baroque embellishments it underwent during the early 18th century. It was at this time that many of the interior surfaces were covered with intricate wood carvings, which were in turn covered in several hundred kilos of gold leaf. 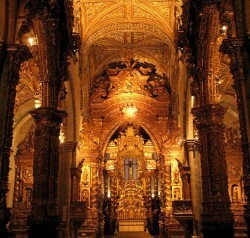 In a nod to opulence and a demonstration of the power and wealth the Catholic Church held within its hands at the time, everything from the walls and pillars to the side chapels and roof were covered in ‘talha dourada’, this distinctive baroque style that was so popular in Portugal at the time. Of particular interest to the visitor are the altarpieces of the apse chapels and the nave, which are amongst the finest examples to be found anywhere in the country. From the outside, the Igreja de Sao Francisco gives away little of what lies within. A large, detailed rose window in gothic style commands the attention on the main façade, while the west portal displays some typical baroque embellishment. The south portal is still gothic, and showcases within its entrance some interesting Mudéjar wood panelling – a type of intricate filigree design which dates back to the Islamic influence on the Iberian Peninsula. Inside, the main church is organised into a nave with three aisles, with a transept and an apse with three chapels at its easternmost end. An impressive statue of Saint Francis of Assisi, made of polychrome granite, dates back to the thirteenth century and there are various other remnants of the building’s gothic origins within. 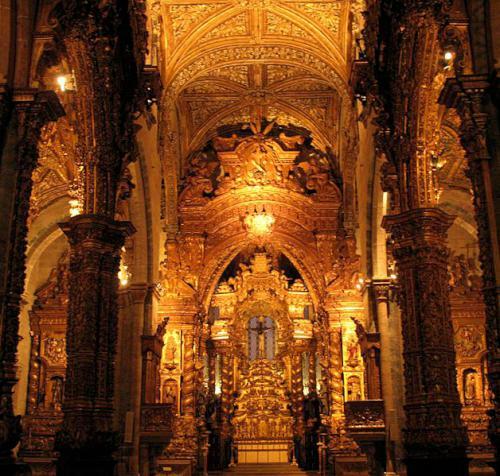 Various chapels include one dedicated to Saint John the Baptist and one to Nossa Senhora da Solidão, plus the Chapel da Arvore de Jesse, with its intricate and highly decorative wood carvings. 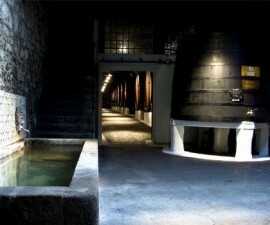 Don’t miss the catacombs which are located below the church. 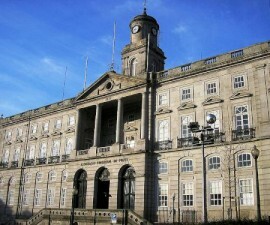 There is a museum here which contains items from the former monastery including human bones! There is a fee for visiting the Igreja de Sao Francisco, but it is nominal and the church is a must-visit for anyone visiting this area of Portugal, which has even a passing interest in baroque architecture and design.